Today’s guest post comes to us from Olivia Rose at mykingcook.com. She writes about essential kitchen gadgets to keep handy in your kitchen at home. 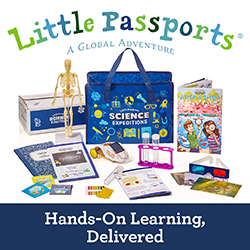 These items are must-haves and essential for any budding cook or experienced chef. With the holidays coming up, these would make excellent stocking-stuffers too. Thank you for your great article, Olivia. We truly appreciate the contribution. Every home cook should have a best friend in the kitchen. But in my case, I have more than one that I rely on when I whip up something delicious at home. As a matter of fact, these tools are not just perfect for food enthusiasts like you and me, but also, having different kitchen gadgets, appliances and tools can definitely come in handy for emergency dinners and get-togethers at home. So, if you are looking for great ways to spruce up your kitchen, aside from having the best cookware for glass top stoves, then here are my favorite kitchen gadgets on your list of must-haves. Say goodbye to doing manual measurements. No more having too much or too little of a certain ingredient, because having a digital volume spoon scale will ensure perfect measurements every time. 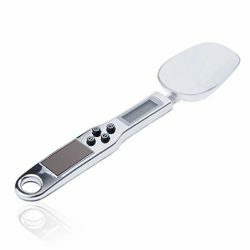 It is a measuring cup and spoon, all rolled into one device. Just attach or detach the spoon or cup and you are all set. It’s battery operated with an LCD panel where you can read the measurements. Now, you can measure your spices, such as smoked paprika, thyme, or dried basil without fuss. 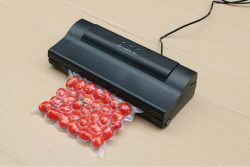 It doesn’t matter whether you are planning to sou vide your steaks for the holidays or you simply want to keep your food (wet or dry) fresh; you definitely need to own a decent vacuum sealer at home. Trust us, when we tell you that owning even a food saver can help you save tons of money on food. I have a heavy duty one at home because I do a lot of experiments in my kitchen. You can do the same, if you as adventurous. There are different kinds of sealers on the market, from large commercial kitchen grades to handheld mini-sealers. Just choose the one that serves your needs. Are you a BBQ lover like me? If you are, then this gadget definitely deserves a space in your kitchen. Each person has his or her own degree of cooked preference when it comes to their meats. So, it is important that we have the right temperature every time we fire up the grill. 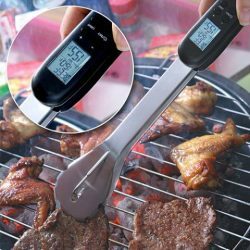 The handles on this item have a built in, battery operated thermometer to help you find out if the your choice cuts on the grill are cooked to delicious perfection. Everyone deserves a perfectly chilled glass of wine, don’t you think? Most of us follow the practice of just leaving your wine bottles out there in the open or stuck in an ice bucket. With this mini wine chiller, you simply have to stick the spout in the freezer for about 6 hours and attach it to the neck of the bottle, and voila! Instantly chilled wine in your glass. 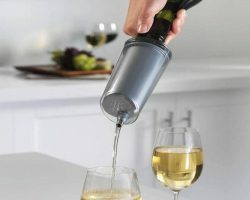 This gadget chills the wine and not the bottle! It’s simply perfect for every wine lover out there. With the increase in the number of people who are becoming more and more health conscious, it is definitely time to join in. Now you can use zoodles (noodles made from zucchini), carrots, sweet potato and cucumber spirals as substitutes for carb-loaded pasta with ease. There are different types of spiralizers in the market, so you can choose the bigger ones or the handheld veggie noodle makers. 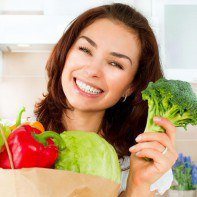 All you need is your spiralizer and your imagination, or some fantastic recipes to try, and you can start making delicious and healthy dishes at home. 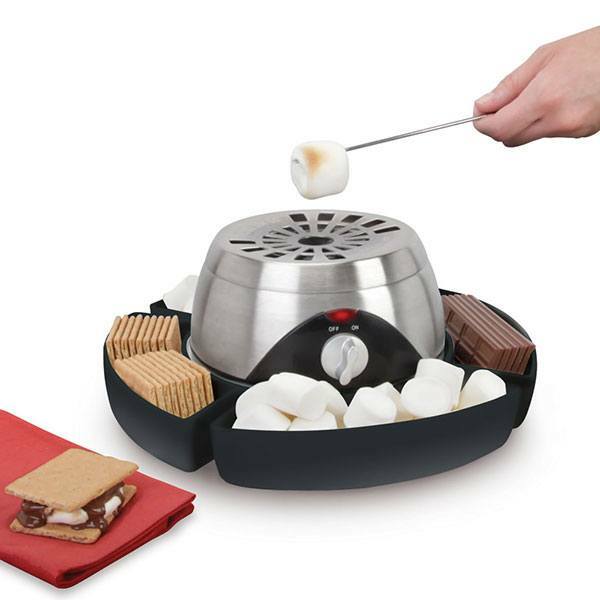 Usually, I am not-so-keen on single-use gadgets but who doesn’t want to have a s’mores party from time to time? This is something that most people would consider a complete splurge. But, however you would look at it, you can’t deny that this roaster is pretty awesome. Now you do not need to go out camping just to enjoy this sweet treat. Consider this my our bonus! 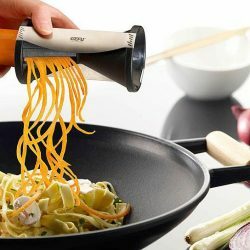 These gadgets and tools will surely make your life in the kitchen a little less stressful and a lot more fun! My name is Olivia Rose. People say I am a housewife and have nothing much to do, but being a mother of two kids is itself a ful time job. I like to research and learn about new food and health related discoveries. I want to share my knowledge, that is why I have established mykingcook.com. I have shared my very own recipes also. I hope readers like my content and learn from it.